This statistic shows the number of telecommunication companies in Norway from 2007 to 2016. 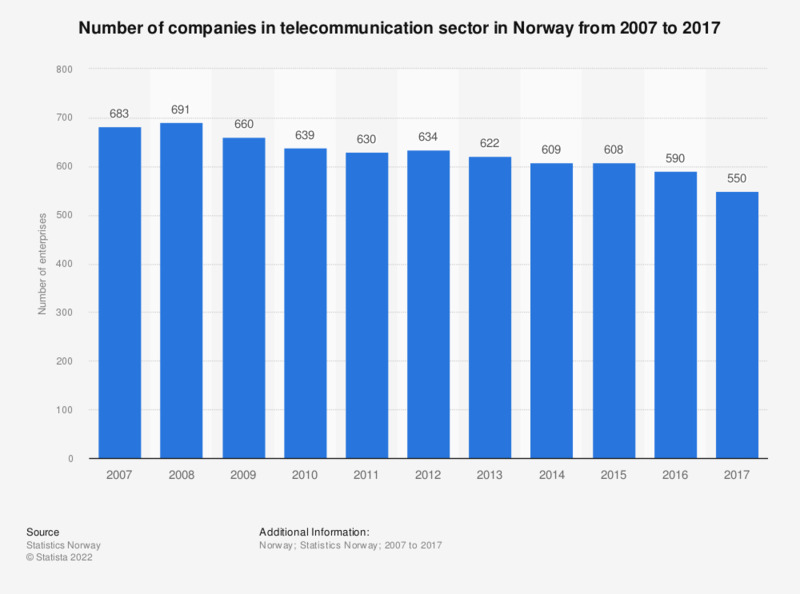 The number of enterprises in the telecommunications sector has declined during the given time period and in 2016 there were 590 telecommunication companies in Norway. Statistics on "Telecommunications industry in Sweden"